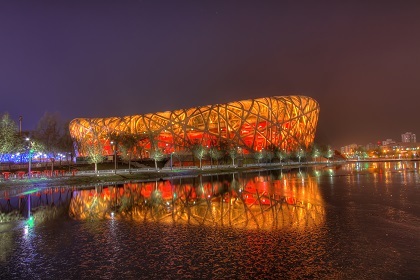 China’s economy continues to slow as it rebalances, with headwinds including trade frictions and the weakening global economy undermining exports and creating new uncertainties, according to the OECD Economic Survey of China. Despite the slowdown, the survey projects growth above 6%, and sees continuing convergence with more advanced economies. Society: How can policymakers help the struggling middle class? Across the OECD area, except for a few countries, middle incomes are barely higher today than they were ten years ago. Little wonder the economic influence of the middle class has dropped sharply. A comprehensive action plan to relieve pressure is needed, according to a new report on the squeezed middle class. 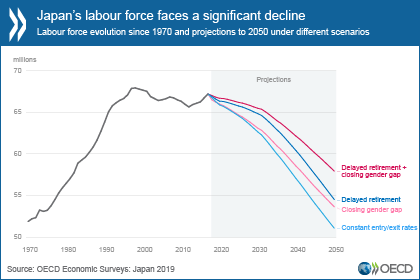 The Japanese economy is undergoing the longest expansion in its post-war history, marked by strong job creation and business investment. 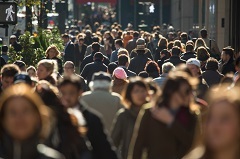 Government policy must overcome the intertwined challenges posed by rapid population ageing and high government debt to ensure sustainable and inclusive growth for future generations, according to a new report. 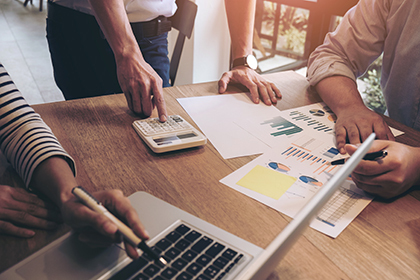 Small and medium-sized enterprises (SMEs), which account for 50-60% of value added in OECD countries, are turning to non-bank financing sources, such as online peer-to-peer lending and equity crowdfunding, at a faster pace than in the past, a new report says. 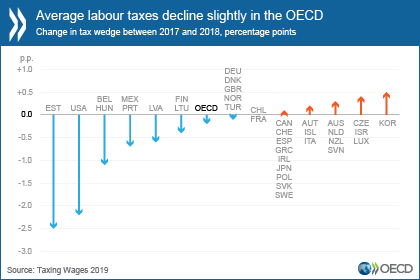 Income tax and social security contributions declined slightly for the average worker across the OECD in 2018, driven by major reforms in just a handful of countries, according to a new OECD report. Some two-thirds of OECD countries saw slight increases in this so-called tax wedge. 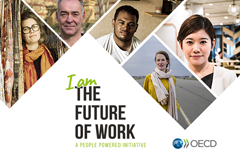 The OECD is launching the I am the Future of Work campaign. From students to CEOs, everyone is shaping the future of work and their voices should be at the heart of the debate. The campaign highlights what the future of work means for people and the urgency to build a future that works for all. The Future of Work is now. Have your say! In many OECD countries, inequalities are at their highest levels in 30 years and are widening. What are the effects, and the policy responses? See our story on inclusive growth. 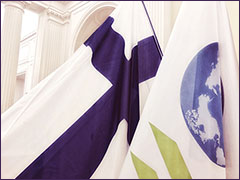 Finland joined the OECD 50 years ago on 28 January 1969. Since then it has transformed to become a leading knowledge-based society.